As the dust settles on Microsoft's Xbox One announcement, we've got a brand new console to chew over and the prospect of plenty more being shown off at E3 in just over two weeks time. At an exclusive event in London, Microsoft's UK Xbox marketing director, Harvey Eagle,spoke to journalists to answer some common questions and put straight several rumours surrounding the new console. "When I think back to the early days, we were the new kids on the block," he says. "We were new to the console industry and we had a lot to learn. One thing we've done pretty well over that time is deliver innovation over our industry." "I think we have a good innovation story to tell with Xbox One." So, firstly, will the Xbox One require an always-on internet connection? "The answer to that is no, you do not require an 'always on' connection. If your internet connection drops, you'll still be able to play games, watch movies and enjoy a Blu-ray." How does the TV content get into the Xbox One? Are you working with TV providers? "Xbox One has been designed to get TV into the box through a variety of different methods. TV providers, over-the-air and over-the-internet. You'll be able to get it in a variety of ways and we're working to have multiple scenarios where live TV can feed into the box." 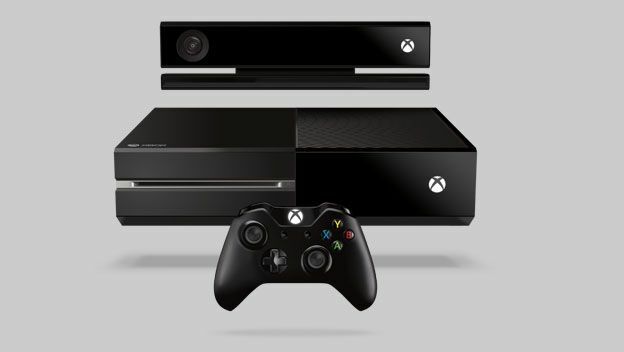 Will the Xbox One be backwards-compatible? "Xbox hardware means it won't be backwards compatible. They are just two different systems built in two different ways. Xbox 360 is a platform we remain committed to and theres a rich pipeline of contenton the way." "Digital content - any entertainment content - you'll have the option to download thatto Xbox one, but not for games. As I said, they're just two different systems that have been built differently." Are you trying to reposition as a rival to Sky or Virgin in the living room? "We're not trying to position against any existing company, we'rejust trying to develop amazing experiencesfor the living room and, I guess,you'll be the judge. You'll decide who that puts us up against." "I hope people weren't confused - gamesare still critical and fundamental to us. We are creatinga machine to give the best experience in gaming and we also feel that we have a box that can do more than that without compromising the ability to be the best gaming machine out there." Does Kinect always have to be connected to function? "Yes it does, in all cases." Does the Xbox One support secondhandor pre-owned games? "Yes, we are building Xbox One to support the trading and reselling of used games. We are working through the policies of how that will work and will share the results with you in due course." Sony and Nintendo have both mentioned game streaming, is that a part of the Xbox One as well? "We don't have specifics to share with you today. E3 is just around the corner and there's a lot more information to come so I'm going to ask you to stay patient with us and hopefully all that will become clear in the next few days." Finally, is there any word on a price or release date yet? It should be noted that during the presentation, Microsoft did hint that the Xbox One will be arriving later this year. A good thing too, considering Sony has pegged its PlayStation 4 for a Christmas 2013 release. Want to know more about Microsoft's next generation machine? Check out our exclusive analysis from the launch event at Xbox HQ.